About to become a mum of two (or more)? You need to read this. 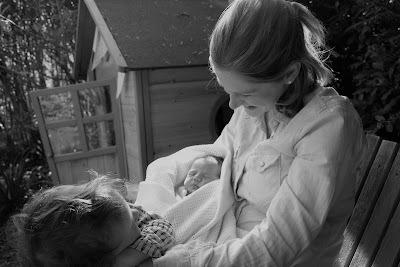 I've been a bit blog-silent for a few weeks because our family of three has just become four: tiniest man was born two weeks ago. He arrived two hours after I strolled (ha! huffed, puffed and almost rolled) into the (amazing) Whittington birthing centre. The second-time-around birth was definitely a whole lot easier. But whilst I spent huge chunks of pregnant time musing about birth and sleepless nights all over again, I hadn't really planned or thought much about the difference between looking after one toddler, and two children. Maternity leave with two? Desperately hoping a howling babe doesn't wake the toddler next-door; getting naps to coincide being the highlight of your month, that first Brent Cross visit requiring parental assistance and a stream of toddler food bribes and getting both into their car seats at the same time, without any sobbing, seeming tougher than organising a jail-break. 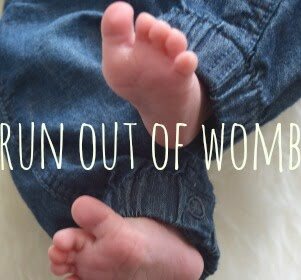 So I asked the wise, experiences mamas of Facebook, what are your tips for life with two or more babes? And these are their brilliant answers. If you're pregnant with a second/third/fourth/seventeenth (and if the latter, Channel 4 wants to make a documentary about you)... read on. And get shopping..
* Have mini stations of nappies, wipes etc on each floor of the house, if it's more than one storey, so if your toddler is lunching etc you don't have to abandon them to deal with a poonami. * If possible set up napping/sleeping areas on different levels of the house for the newborn - or use mattresses like the Sleepyhead that you can move around. (My hospital gave me a Finnish-style Baby Box, which is a brilliant extra crib for downstairs). * Leave the house everyday and make sure the toddler has burnt lots of energy so they will nap better. * Try to include the toddler when changing nappies etc, maybe get them their own doll. Mine loves fetching the cotton wool / poo bags / etc and I heap him with praise for doing so! * "In the first few weeks, try and shower and get dressed, washes on, bottles washed etc before your husband/partner has gone to work so at the very least for your day you are washed and dressed and your laundry is clean!" * "Get as much help as you can whether it's paid (if you can afford it) or from friends/relatives etc." * To double buggy or not? I planned to put the baby in the sling and push the toddler... But two weeks in, I've realised that doesn't always work and have gone for Cosatto's great To & Fro Duo (one of the few doubles to allow forward-facing) - will post more about this soon. * Buy a great sling - I use mine all the time, eg whilst cooking dinner, bathing the toddler, as well as to go out. * Get as many bouncers as you can for each room! "A big lovely shallow 'dish' one they get really comfy in saved my life this time round," says Jo. * Monitors - "ensure you've got a camera on your Moses basket / crib, toddler bed, and if you can gate it off safely - the sitting room so you can make that mad dash to e.g. the kitchen to warm something up and have them both safe (if your gap is small like mine - 19 months)." * Get a regular online shop. * "If you've a garden, buy fun outdoor toys so least your toddler can have fun in the garden with you while baby sleeps if you don't always manage to get out." * "Get on Facebook local mum groups & set up a Whatsapp group for mums due with two. For preggo dinners out then play dates with two. I love my original NCT crew & my Mums of Two crew so much. Couldn't cope without either." * "Try not to worry. The absolute love that siblings have blows me away. They adore each other. I know it might not be this way forever!! But I wish I could have shown pregnant me how fantastic everything is. I was really worried. What a waste of time." * Be prepared that your first will never seem like your baby anymore... My tiny man seemed enormous when I got him dressed the day after giving birth for the second time. Where had my baby gone? * "Lower your expectations. If you're all still alive by the end of the day you've done well!" "Be prepared.. My number two arrived six weeks early - I was going to sort everything out, including moving my "big" girl to her new room, once I was on maternity leave. He had other ideas.."
* Have the baby stuff around for a while before baby comes along so toddler can get used to it and the novelty of playing with it will have worn off a bit. * "Try and get out of the house every day. Have very low expectations...and you might be pleasantly surprised!" I Met a Powerful Spell caster and Psychic from Africa by name Dr Believe, He is Real, Honest and Genuine.. He helped me get my lover back, there is no bad or negative effect.The Psychic uses white Magic and he helped me get my Lover back, it worked in 2 days.. My lover came back to me, apologized for leaving and now we are back together and as happy as ever… I will encourage and recommend anyone to contact the spell caster and ask him for help.. He does all kinds of spells asides love spells. just tell him your situation and he will help you… you can email him directly on Authenticspellcast@gmail.com or Authenticspellcast@hotmail.com or check him directly on his website at http://authenticspellcast8.wix.com/authenticspellcast or call +2348113868297 he is the answer to your problem..